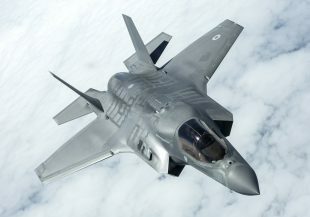 There is media coverage today on the announcement that Britain’s new cutting-edge F-35B aircraft will depart their home station of RAF Marham in Norfolk later this year for Cyprus in their first overseas deployment. Coverage is carried in The Guardian, The Scotsman, and on ITV online. Read more about the F-35 deployment here. The Daily Mail carries a story on its front page that places focus on the situation around Afghan interpreters eligible to be relocated in the UK, reporting that following a policy extension to the criteria made last year, none of the 50 estimated interpreters that would qualify have arrived in the UK. Our specialist team is working hard to identify which Afghan interpreters are eligible for relocation under the expanded scheme. This requires close collaboration with other Government departments, the Afghan Government and the International Organisation for Migration, and therefore takes time. We recognise the vital role interpreters and local staff played in operations in Afghanistan, and we encourage anyone who experiences intimidation because of their employment by the UK to contact our Intimidation Investigation Unit. F-35B Lightning aircraft are set to deploy to RAF Akrotiri in Cyprus. Crown Copyright.